ENSAIME, RICCI & NUBY, SONNY FODERA, VOLKODER, CROATIA SQUAD and more. This show was 48th in the global vocal house chart. 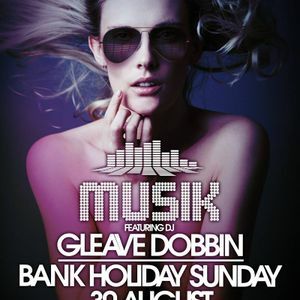 Live Dj Mix by resident Gleave Dobbin recorded on Bank Holiday Special 30-8-15 from Belfast city&apos;s longest running Sunday shindig, &apos;Musik&apos; @ Thompson&apos;s Garage extends the weekend with Gleave Dobbin & Guest&apos;s laying down three decade&apos;s worth of House music&apos;s finest moments from the past, present and phuture!